We use our highly flexible PLANET FMC multipair cable with single insulated and shielded wire pairs. 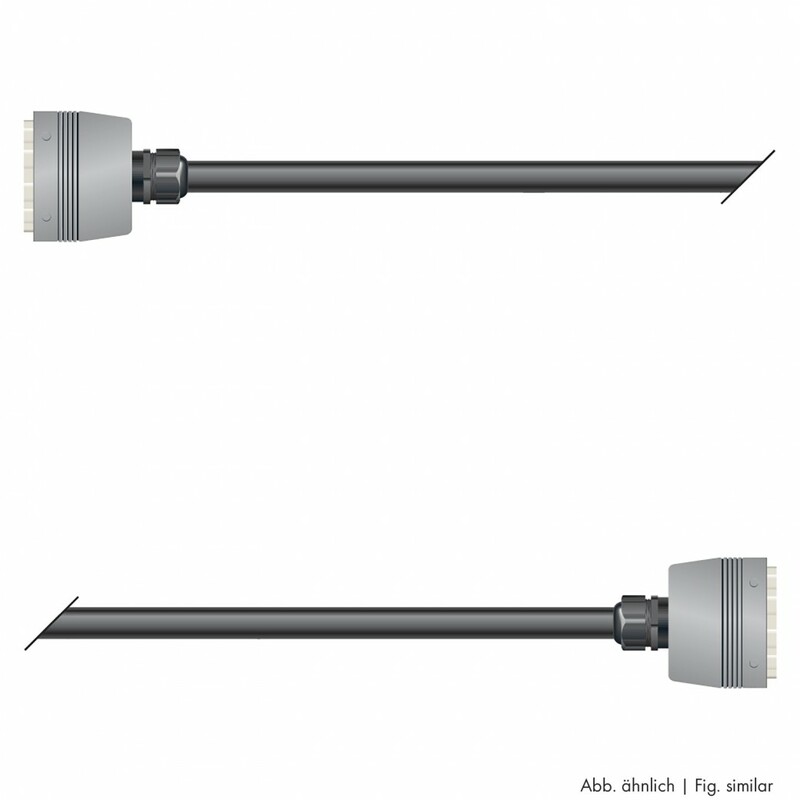 As connectors we use two ILME non-locking multipin sockets which are compatible with all common rectangular connectors (Harting etc.). The multipin sockets are available with both a straight or angled body style. The standard	configuration that is used as a basis for common grounding can be found at www.sommercable.com/service. The multipin sockets come with grey housings and GRP-reinforced screw joints which perfectly relieve the cable perfectly and also ensure maximum tightness. 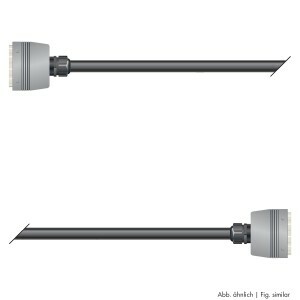 On both cable ends we fitted a transparent, unshrunk 10 cm shrink-on tube for your individual labelling. We gladly accept your written orders for other configurations and special designs by fax or e-mail under support@sommercable.com. Always complete with multipin protective bag!